Things can get a little confusing when figuring out which foods to eat for your hypothyroidism diet. Deciding what to eat and what not to eat to support your underactive thyroid can be a bit stressful with all of the conflicting information out there. All too often, when trying to detoxify our bodies, we tend to focus on what we cannot eat. Many people under-eat because they are not aware of which foods they can include to heal their thyroid gland. The good news is that just as important as avoiding certain foods for your thyroid health, it is necessary to add nutrient-dense foods to your hypothyroidism diet to boost the functioning of the thyroid gland. Although specific supplements can help to make-up for a lot of deficiencies that are common with hypothyroidisim, eating real, whole foods that offer nutrient-density is a huge key to healing the body and to gaining optimal health. 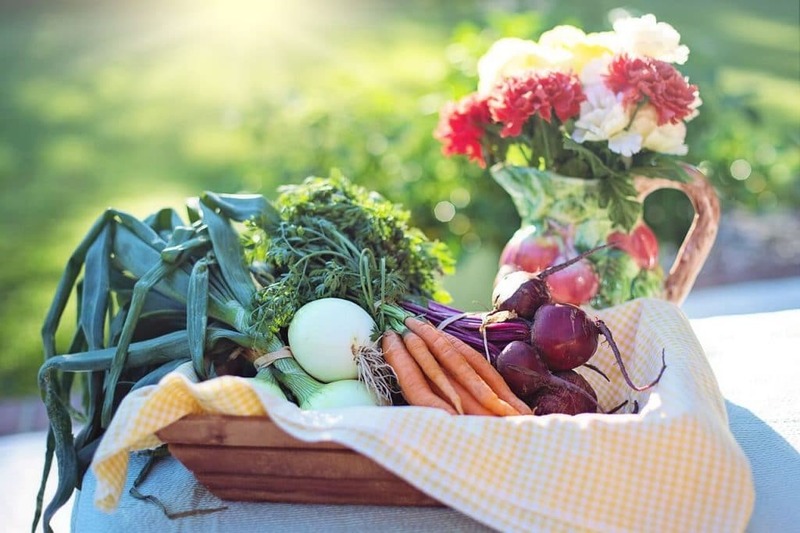 This article discusses specific foods that can help to give you the biggest bang for your buck in terms of how many nutrients you can get for every bite. Remember that getting the most variety of different foods is essential to getting the nutrients needed by your thyroid gland. Unless you have been living under a rock, you are aware that fatty fish like salmon and mackerel are high in omega-3 fatty acids. These types of fatty acids help to decrease inflammation within the body. This is obviously very important as increased inflammation is common with issues like hypothyroidism. Eating fatty fish helps to balance the amount of omega-6 fatty acids (prevalent in our Westernized diet from overly-processed oils like canola and soy) and omega-3 fatty acids. In nature, the ratio of omega-6 fatty acids to omega-3 fatty acids is 1:1. In many processed foods, the ratio could be as high as 16:1! Therefore, regularly eating fatty fish can help to maintain a good ratio between the two fatty acids and keep inflammation at bay. 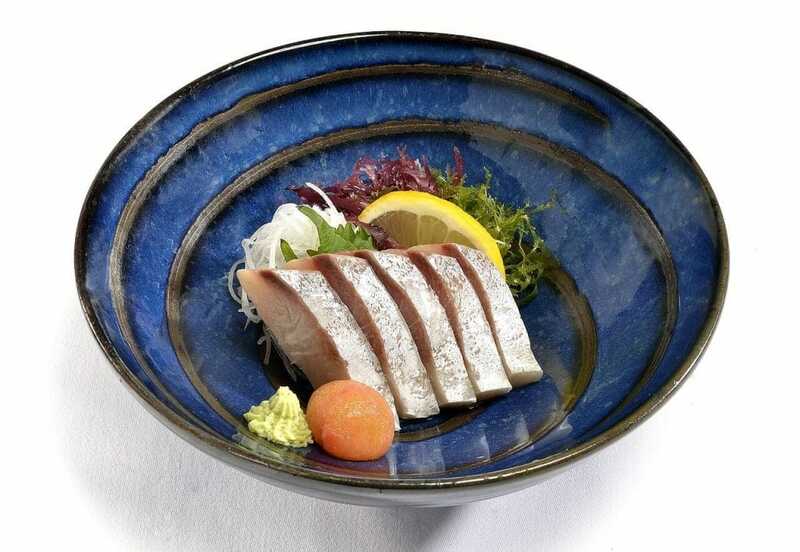 Many people worry about the mercury content in fatty fish. However, because these foods are also high in strong antioxidants like selenium, their selenium content actually binds to the mercury and excretes it from the body. Therefore, there is more to gain from eating fish than there is in avoiding it. Learn more about mercury in fish here. However, before you go buying any fish at the store, remember that wild fish is best. Farmed fish can cause more problems than good. Read more here about why choosing wild fish is better. If you can’t find wild fish at your local grocery store, you can always buy it online through responsible companies like Vital Choice Seafood. A lot of the nutrient deficiencies common in hypothyroidism include iodine, zinc, selenium, and antioxidant deficiency. Seafood such as mussels, oysters, and squid as well as sea vegetables like arame, kombu, and wagame are rich in these nutrients and therefore perfect for a hypothyroidism diet. Choosing seafood three to four times a week is beneficial to optimize the functioning of the thyroid. Many health care practitioners may steer clear of recommending seafood to their patients because they are afraid of over-exposing the thyroid patient to too much iodine. The truth is that, if a client turns to a real food diet, void of any processed foods, the iodine content from seafood is ideal. This is true for two reasons. Firstly, in countries where Hashimoto’s thyroiditis, an autoimmune disease that results in the demise of the thyroid gland, is prevalent, more people are exposed to increased iodine because it is prevalent in processed foods (especially foods that have a high salt content, as iodine is added back into processed foods). Therefore, simply cutting processed foods and even foods like bread, significantly decreases one’s iodine intake. Secondly, getting iodine from real foods sources like seafood allows a person to also get good sources of selenium and zinc. These nutrients work in conjunction with iodine to create an ideal balance of nutrients needed for optimal thyroid function. Remember, wild seafood is best. If you aren’t able to locate wild seafood at your local store, buy it online through responsible companies like Vital Choice Seafood. 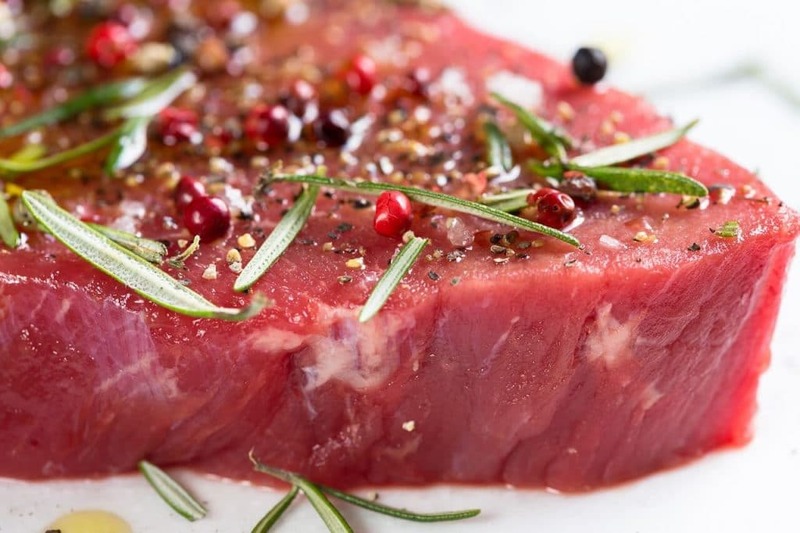 Grass-fed meat is significantly higher in omega-3 fatty acids as well as fat soluble vitamins like vitamins A and E and water-soluble vitamins like vitamin B12 than conventionally-raised meat. Since these mentioned nutrients are typically deficient in people with hypothyroidism, switching to a grass-fed meat source is ideal. Find grass fed and pasture raised meats here. Everyone knows the benefits of eating lots of plants. 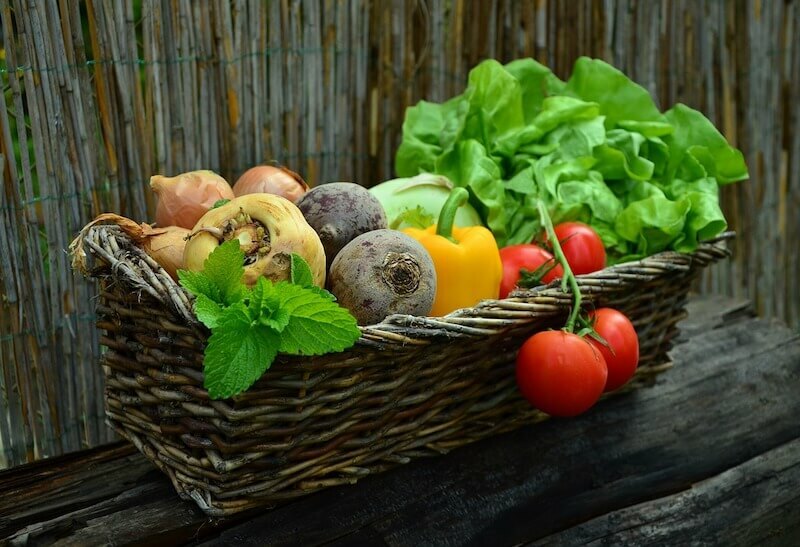 A variety of vegetables within the diet offers a range of antioxidants and phytochemicals that have been proven by science to prevent chronic diseases like cancer and diabetes. The same holds true for hypothyroidism. A daily intake of a range of vegetables is key to decrease inflammation and maintain a healthy digestive tract. In recent years, there has been an explosion of research that emphasizes the health of the intestinal tract via the microbiome. The microbiome is the name given to the mix of bacteria, viruses, and parasites that exist within the intestinal tract. To give you an idea, we have more bacteria than we do cells in our entire body. They help to govern the immune system and regulate hormones, therefore, it is important to maintain a good microbiome. Even in the case of the thyroid gland, studies have found that the yeast species Saccharomyces boulardi, helps to decrease Candida, pathogenic bacteria, and some parasites. Science now shows us that in order to have an ideal balance of “good” bacteria to “bad”bacteria, the type of diet we eat is imperative. The fiber from vegetables helps feed “good”bacteria and decrease the symptoms of chronic disease. Therefore, eight to ten servings of different vegetables a day is recommended. Many have childhood memories of eating soup when they were ill or not feeling well. This is not a coincidence. Before the days of processing, making stocks from bone broths was very common. Bone broth is rich in the amino acids glycine and proline. Both of these amino acids are highly used by the liver to detoxify the body. Also, the collagen found in bone broth helps to repair the intestinal wall and therefore decreases intestinal permeability or colloquially, a leaky gut (a phenomenon that is very common with autoimmune disease. In fact, research now shows that a leaky gut may be a necessity to forming an autoimmune condition). All these benefits of bone broth make it a perfect addition to a healthy hypothyroidism diet. 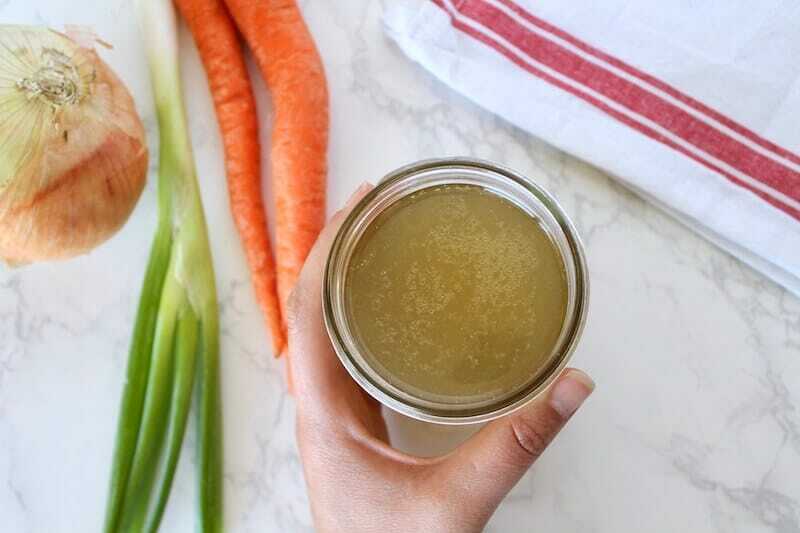 It’s very easy and cost-effective to make your own bone broth from home. Follow this recipe and video if you are new to the process. You may also be able to find it at your local health food store or online. Offal is the term that refers to parts of the animal other than the actual muscle meat. Foods like liver, heart, and kidneys are more nutrient-dense than the actual muscle meat. Offal is also a rich source of vitamin D, which is deficient in most people with hypothyroidism. It is recommended that offal should be included within the diet one to two times per week. Obviously, getting offal from grass-fed animals is the ideal choice. You can find offal from your local grass fed meat butcher, farmers market, or online. However, if the idea of eating offal sounds awful to you (haha), you can also take grass fed liver in capsule form to get all of the bioavailable, easy-to-digest nutrients. If you are a vegan with hypothyroidism and you are thriving, then you are getting the ideal amounts of protein from your diet. If, however, you are a vegan that feels tired, has hair loss, has eczema or psoriasis, or has digestive issues, it is important to make sure to add vegan sources of protein to your diet to help the thyroid to work optimally. Usually, adding some hemp protein to a smoothie daily can help. In addition to this, you will need to get a supplement with vitamin B12 as this vitamin is typically found in animal sources. The ideal scenario would be if you are a vegan that is willing to eat some seafood. 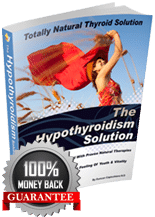 This will help you to recover a lot of the nutrient deficiencies seen in hypothyroidism. Changing the way you eat in order to heal and to gain health is not an easy feat. A lot of sacrifice needs to be made. Having said that, however, making small changes to your routine can help you to easily transition to a nutrient-dense diet from real food. For example, dedicating two to three hours a week to batch cooking, can greatly increase your chances of sticking to a new diet. Do not be afraid to try new foods or to even eat unconventional foods for meals like breakfast. Remember that in addition to medicine, stress management, and the right kind of exercise, nutrition is a key player in helping you to achieve optimal health. By making what you choose to eat at every meal a priority, you will see drastic improvement in the way you feel. Don’t be afraid to make changes if you are really suffering and no adjustments seems to be making you better. Hannah Healy of Healy Eats Real quit being vegetarian after 11 years because of issues like there. You can read her story here. This is such a great resource for folks with this issue. Beautiful photos of the food, too. This diet is ideal for all healthy eaters, whether they have hypothyrodism or not. It’s healthy eating that is what is best for the body. Your article had some great points. My aunt suffers from this, so I’m going to make sure to pass this on to her. Thanks for the tips! Of course! Hope your Aunt finds it helpful! What a great article, a healthy diet should include all the foods listed here. I will have to try the Bone broth recipe. What a useful article! I can help your husband to diet properly through your article. Hope everything will be ok. Thanks for the tips! What about people who have had RAI treatment for Grave’s disease and are on two thyroid medications? cytomel for instance, helps convert T4 to T3. No thyroid to speak of. What is something you can do for the hair loss if you suffer from hypothyroidism? Balancing your hormones is the main thing that will help with that. All of the suggestions mentioned in this post can help with symptoms of hypothyroidism and balancing hormones.